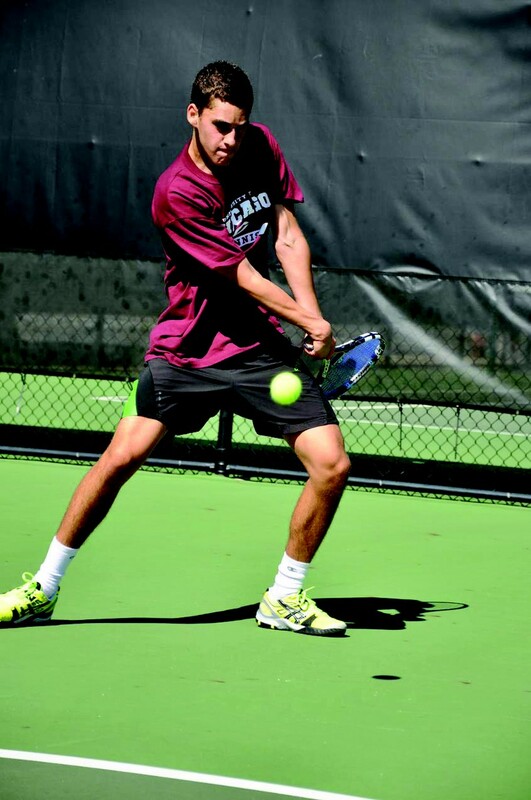 Even though football, soccer, and volleyball typically reign supreme on the fields of Hyde Park during autumn, the men’s tennis team is emerging as a challenger to that throne. While the Maroons compete during the spring in the UAA conference, the fall is often reserved for various preseason competitions to get a feel for incoming freshman and to get returning players back into the swing of competition. This past weekend, the Maroons trekked to Indianapolis for the Intercollegiate Tennis Association (ITA) Central Region Championships. In a tournament that no South Sider has ever won before, there was an eagerness churning in the guts of the Maroons as they looked to rewrite the books and etch their names down as champions. In total, the Maroons sent 10 singles players and five doubles pairs to Indianapolis. On the first day of competition, each athlete competed in two matches each and seven Maroons went undefeated, including second-year Sven Kranz, fourth-year Deepak Sabada, and first-year David Liu. Three doubles pairs won their matches on the day, including Sabada and Liu. Kranz was awarded UAA Athlete of the Week for the week of September 22. Since the ITA Championships are four days long, the Maroons knew conditioning was going to be necessary. “Preseason is more demanding physically due to the high amount of matches in a short amount of time, so fitness was an area we focused on, and I think it paid off,” Sabada said. For the pair of Sabada and Liu, in order to advance to the championship on Sunday, it was going to take a victory over UAA rival Wash U. While the Bears are regarded as one of the best DIII programs in the country, Sabada and Liu defeated their foes 8–4, 8–3 in order to advance to Sunday’s competition. Similarly, first-year Nicolas Chua was able to advance to Sunday in the singles bracket, while first-year Michael Selin was able to advance to Sunday via the consolation bracket on the basis of two hard-fought wins of his own against competitors from Wheaton and Elmhurst. On Sunday, Sabada and Liu became the first Maroons to win the ITA Championships. After defeating No. 2 seed Kenyon in the semifinals, No. 4 seed Sabada and Liu headed into the championship against No. 3–seeded Case Western, whom Sabada and Liu defeated in a thrilling three-set match. Moreover, by winning the championship, Sabada and Liu automatically advanced to the USTA/ITA National Championships later this fall. As for the singles players, Sunday offered mixed results, as Chua was able to advance to the finals on Monday via victories over two Wash U players, while Selin was knocked out in the semifinals after defeating Denison in the quarters, losing a hard-fought, three-set affair against Wash U.
Chua capped the Maroons’ incredible weekend performance by winning the singles championship—as the No. 19 seed—over Wash U’s Tyler Kratky. For his success, Chua captured UAA Athlete of the Week honors and advances to the USTA/ITA National Championships alongside Sabada and Liu. With the ITA Championships in hand, head coach Jay Tee will spend the next few weeks getting Sabada, Liu, and Chua ready for the USTA/ITA National Championships before beginning practice and conditioning in anticipation of next spring’s season.